The first day of the New Year falls on the new moon between 21st January and 20th February. In 2017, the first day of the Lunar New Year was on Saturday 28th January, initiating the Year of the Rooster. The upcoming Year of the Dog commences on Friday 16th February 2018. Legend has it that, back in the ancient days, the Jade Emperor ordered that animals would become part of the calendar - and that the twelve who arrived first to his party would be selected. 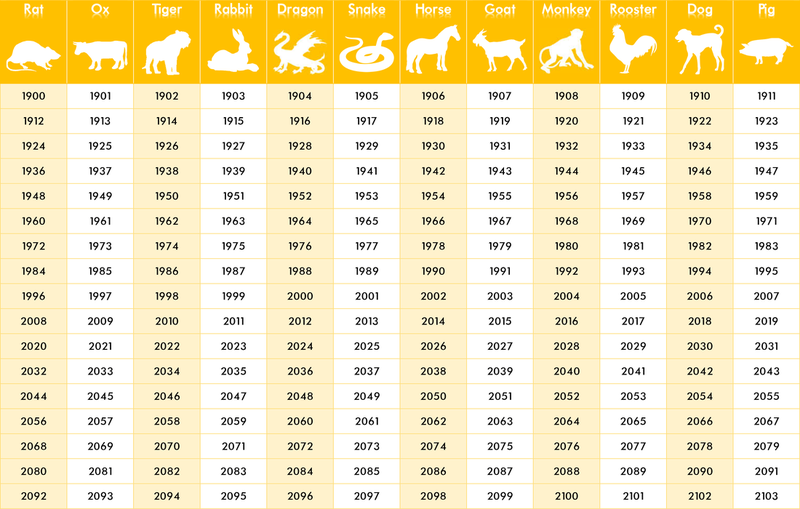 See the table below to find out your Chinese zodiac animal. Many people clean their homes to welcome the Spring Festival. Because red is the colour of good luck, people tend to put up red posters on their doors, as well as Chinese New Year pictures on their walls, and they decorate their homes with red lanterns. It is also a time to reunite with relatives, so many people visit their families. During the evening of the Spring Festival Eve, many people set off fireworks and firecrackers, hoping to cast away any bad luck and bring forth good luck. Children often receive “luck” money in red envelopes. Many people wear new, red clothes and send Chinese New Year greetings to each other. Various activities such as beating drums and striking gongs, as well as dragon and lion dances, are all part of the Spring Festival festivities. Family is the basis of the Chinese society, which is seen through the significance placed on the New Year’s Eve or Reunion dinner. This feast is extremely important to the Chinese and all family members must attend. Food is something that the Chinese take immense most pride in. Of course, a lot of care and thought is put into the menu for the most important holiday of the year. As with other Chinese New Year activities and decorations, the dishes are created to give blessings for the next year. Both the names and looks are symbols of wishes for prosperity, happiness and auspiciousness. - Spring rolls: to celebrate spring. - Dumplings: in Chinese, dumplings translate to the “exchange between the old and new year”. - Noodles: these are also known as “gold ingots” and represent people’s wishes for prosperity. - Fish: symbolises surplus and wealth. - Chicken: a symbol for family, representing reunion and rebirth. - Eggs: the whites and yolks represent gold and silver and are used as simple gifts for friends and neighbours. - Rice cakes: these symbolise a wish for a successful, ‘higher’ New Year. 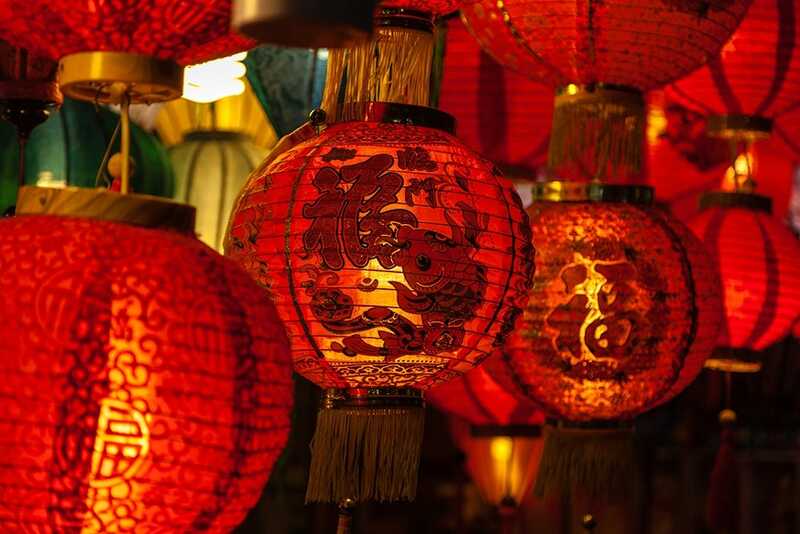 Will you be celebrating the Chinese New Year? What are your traditions? Why not email us at community@cosyfeet.com and we’ll share it on social media.